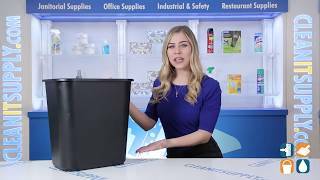 Economically priced wastebasket is made of flexible plastic for maximum durability. Low-profile design makes it ideal for everyday use in the home or the office. 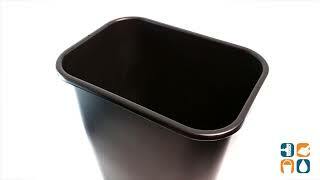 Waste Receptacle Type: Wastebaskets; Material(s): Plastic; Application: General Waste; Capacity (Volume): 28 qt. Opening Size (w x h): 11" x 14 3/8"